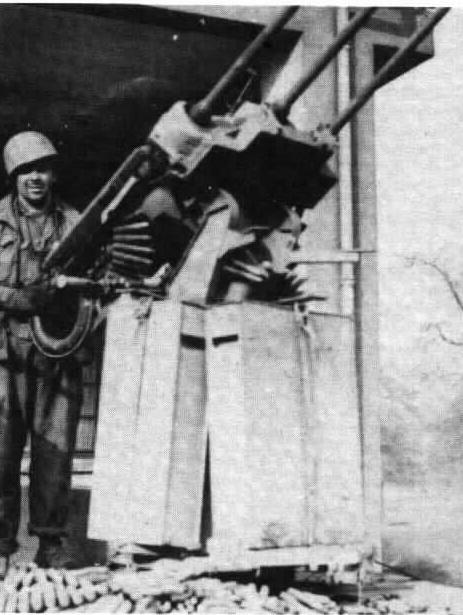 Lose mount(s) taken by GI's in the Ardennes. The left one is mounted on a RSO. Versions: Prototype and field-conversion on C. Production on D.
In 1944 the difficult situation in the air results in a mount for 3 aircraft MG's. The guns are fed by belt. The outer have 250, the inner 400 (500?) rounds. The inner gun gets a longer belt because it is harder to reach. 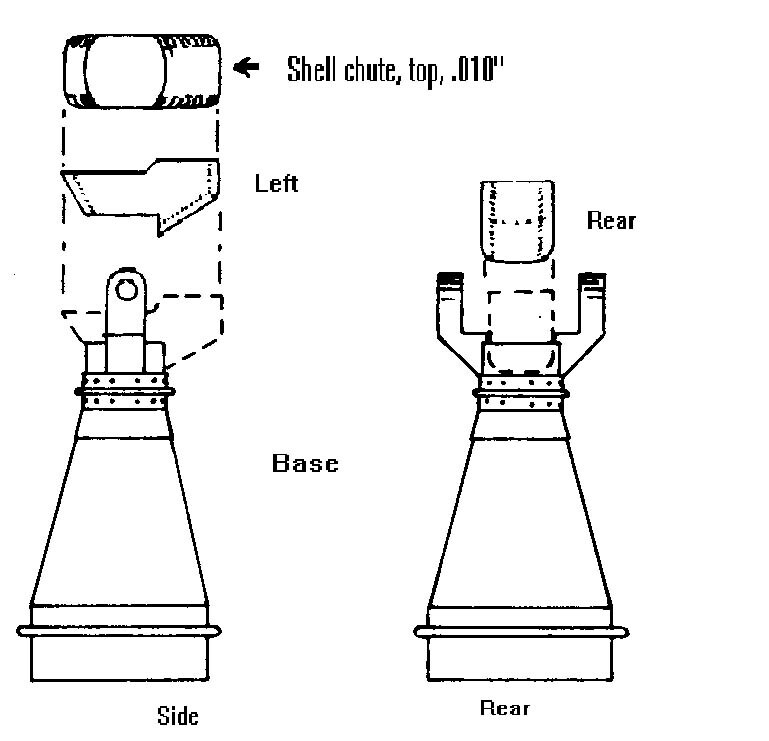 A revolving (modified naval) pedestal with 3 side armor is designed in a joined venture of naval and army forces. The guns comes available because the luftwaffe moves to the larger 3 cm MK 103 and MK 108 guns. Each gun is held in its standard aircraft cradle, less the body extention. The cradels are bolted to a common block on the top bracket of the pedestal, pivoting on trunnions for elevation and depresion. The top bracket is bolted on a conical skirt and the whole rotates freely on the cone pedestal. A brakelocking device is provided for traverse. 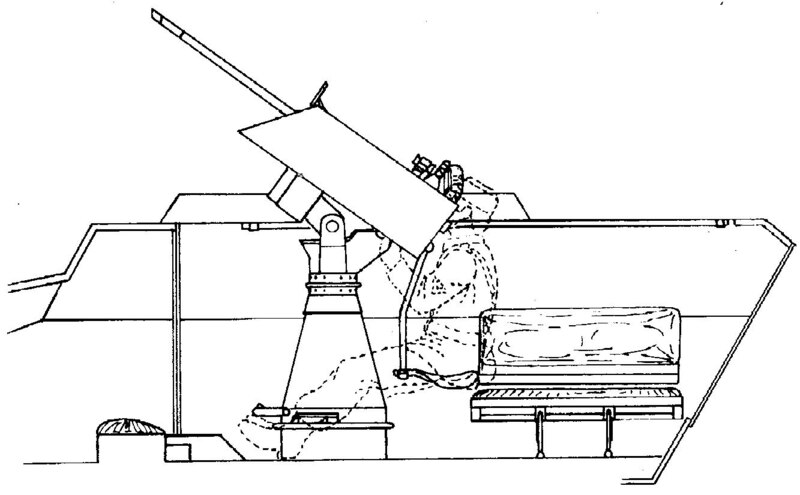 The initial proposed anti-aircraft role is extended to softskinned and light armored vehicles for the accuracy of the gun. US reports speak of ground combat as a first role and low flying planes secondary. The gunner shifts the gun with his shoulders. The guns are handcocked. Elevation -10 to +60. In the 45th panzerdivision every armor reconnaissance group and every company in the panzergrenadier battalions is equipped with 3 units. The production version has extended armor sides, they extend a little down the vehicles own armor. The prototype has no (additional) armor at all. Late production guns differ in armor, three versions are identified. The front half is extra armored. Often armor is added in the field. Early guns have reflector type optical sight, late guns have a simpler design with speedring. Call-numbers that appear on photo: 422, 425, 431, 346. 3 Mauser MG151/15 1.5 cm, some MG151/20 2 cm when the luftwaffe moves to 3 cm. Sighting by telescopic 3 times magnifying sight, field of view 8 degrees and a cartwheel type anti-aircraft sight. 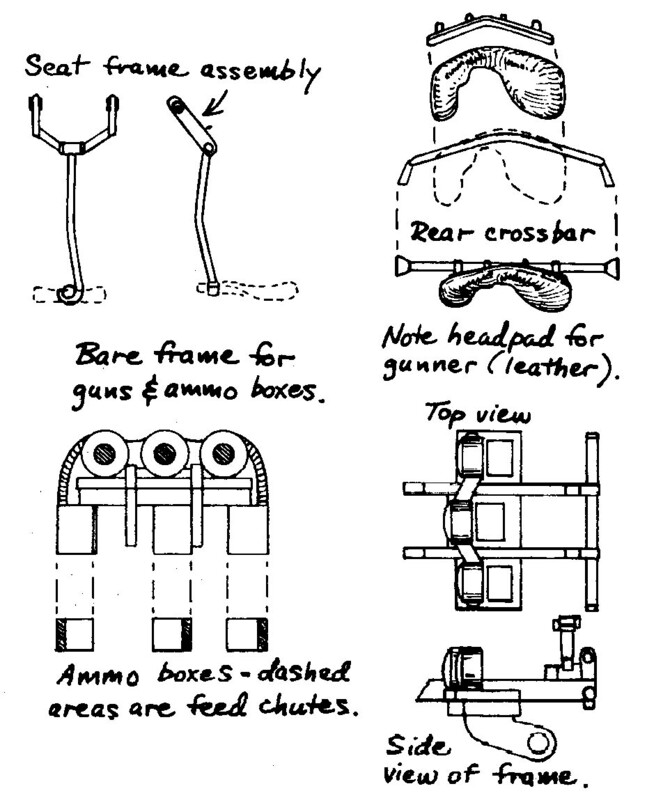 A handperiscope with 8x magnification and a field of 7.5 deree is also present. crew of 4, wireless-operator, driver, loader, aimer. Differences from the standard 251. The front seats, stowage bins and rifle racks are ommited. The pedestal is bolted to the floor, just aft of the transmission housing. 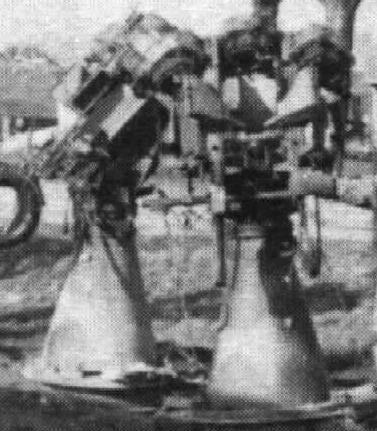 Left rear troop-seat removed, for 2 side and one centre ammo-drum. 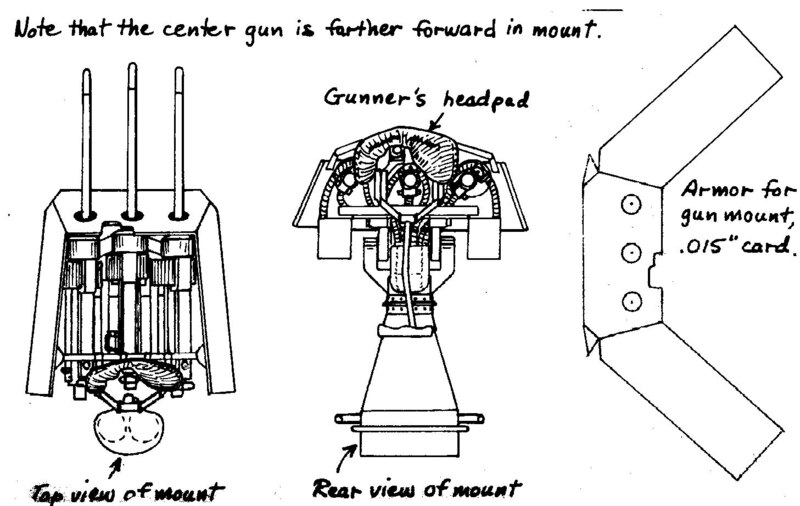 The stowage box on the right rear holds ammo. The number of vehicles can we read in the AA-strenght document.